The Sunday Times top ten bestseller... 'Nobody knew what was going on behind those doors. We were human toys. Just a piece of meat for someone to play with. 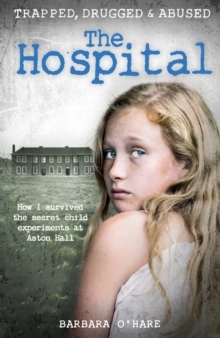 'Barbara O'Hare was just 12 when she was admitted to the psychiatric hospital, Aston Hall, in 1971. From a troubled home, she'd hoped she would find sanctuary there. But within hours, Barbara was tied down, drugged with sodium amytal - a truth-telling drug - and then abused by its head physician, Dr Kenneth Milner. The terrifying drug experimentation and relentless abuse that lasted throughout her stay damaged her for life. But somehow, Barbara clung on to her inner strength and eventually found herself leading a campaign to demand answers for potentially hundreds of victims. A shocking account of how vulnerable children were preyed upon by the doctor entrusted with their care, and why it must never happen again.